The Bouqs is probably the best place to use when sending flowers right now. The bouquets are unique and the blooms are harvested from the side of a freakin’ volcano. 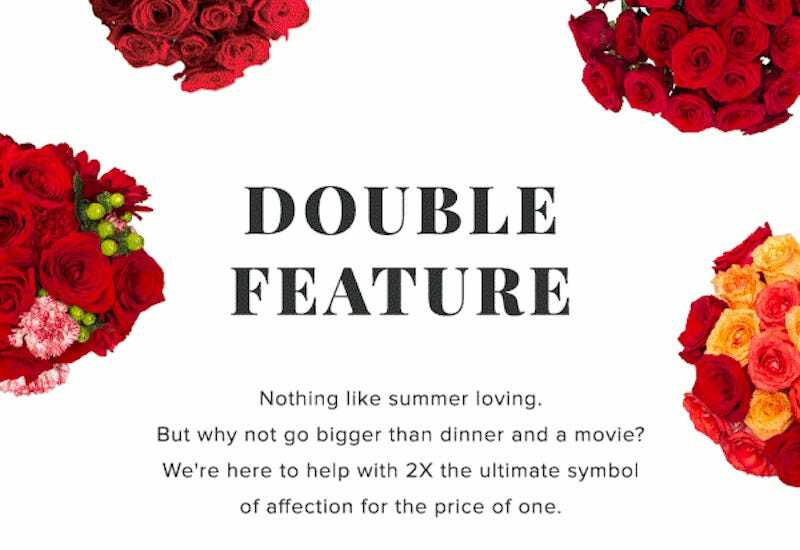 And right now, you’ll be able to get double the flowers for free. Just choose the Deluxe size of select rose bouquets, use the code ROSEDAY at check out and get it for the price of the Original size.